I am deadly, desirable and delicious! This is Alice's mantra as she hilariously negotiates her way through the rocky terrain of singledom. Alice Aigner is successful, independent and a confirmed serial dater - but at her ten-year school reunion she has a sudden change of heart. Bored rigid by her married, mortgaged and motherly former classmates, Alice decides to prove that a woman can have it all: a man, marriage, career, kids and a mind of her own. Who could not fall in love with our Koori heroine as she dates (among others): Renan, whose career goal is to be the world's best moonwalker and male hula dancer; Tufu the commitment-phobic Samoan football player; scary Simon the one-night stand; and Paul - Mr Dreamboat, but perhaps too good to be true. All the while, Alice skilfully avoids dating Cliff, son of her mum's friend, a confirmed bachelor who isn't likely to settle down with a woman anytime soon. Anita Heiss is a fresh new local voice in the genre of chicklit. 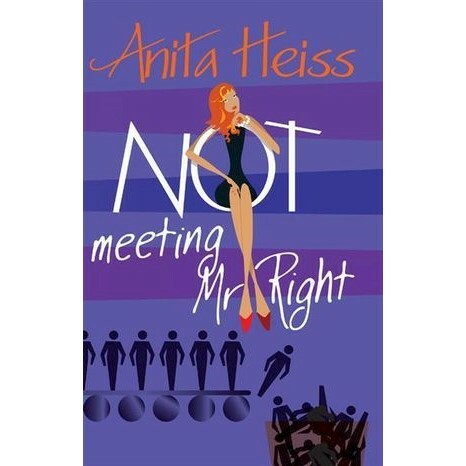 Dr Anita Heiss is the bestselling author of Not Meeting Mr Right and Avoiding Mr Right, both published by Bantam Australia. Anita was recognised for Outstanding Achievement in Literature in the 2010 and 2011 Deadly Awards for her novels Manhattan Dreaming and Paris Dreaming. A writer, satirist, activist, social commentator and occasional academic, Anita is a member of the Wiradjuri nation of central New South Wales, an Indigenous Literacy Day Ambassador and a board member of the National Aboriginal Sporting Chance Academy. She lives in Sydney and but dreams of living in New York.